Fredrix PRO Series Belgian Linen is pre-stretched and primed with an acid-free acrylic Titanium gesso. This 5.5 oz pure Belgian Linen (11 oz post priming) features kiln dried stretcher bars with extra bracing to ensure the canvas will not warp or buckle over time. Comes in both a 7/8" bar and a 1-3/8" bar options. Perfect choice for oils, acrylics, or alkyd paints. 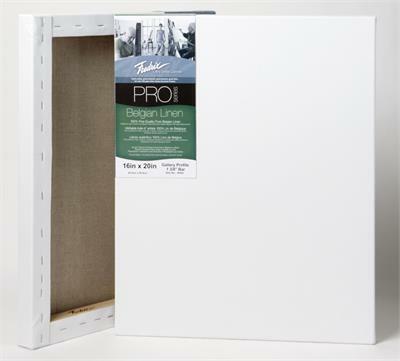 This professional-quality canvas is an excellent choice for any artist concerned with the longevity of their work.